Find the job you always dream about. Sign up today and let us help you find the perfect job. SuggestedJobs's extensive network provides you with complete access to thousands of the latest jobs from every industry near your desired location. Create an account and based on your past experience, interests and skills, add your desired keywords. We’ll use the information provided, our industry knowledge and job specific data to suggest the best and most relevant jobs to you. Stay on top of your job search and sign up to receive email alerts. 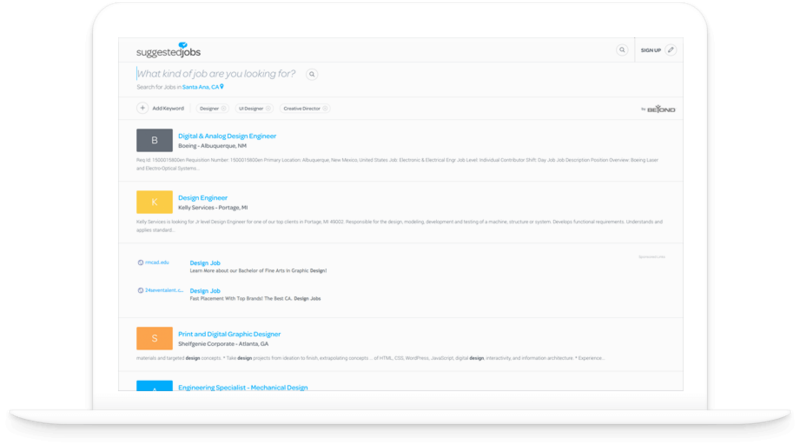 When we find jobs matching your search criteria, we'll notify you with the jobs we think you'll love.